Interesting developments are currently being observed in Pakistan, especially matters related to Operation Karachi and the Benazir Bhutto murder case. The Karachi operation was entirely against those elements who were involved in disturbing the industrial city of Karachi at a great level, over the last thirty five years. The Karachi Operation was started by the paramilitary forces with the consensus of all political parties in Pakistan, in September 2013. However within a few months the ethnic based party ‘Muttahida Qaumi Movement’ (MQM), who influence Karachi the most, started crying that the Karachi Operation was nothing but a victimization of the MQM party. Soon they started to protest against the Karachi Operation. The MQM’s self exiled leader Altaf Hussain, through telephone speeches from London to their political followers in which even he went out of his possible orbit, threatened the powerful Army establishment that he would call their followers to fight back; or to ask his followers that they start migrating back to India where they came from after the independence of Pakistan in 1947, the majority of them being settled in Karachi. Nevertheless the Karachi Operation was not stopped on this hue and cry. As a result, the long disturbed Karachi observed peace. The routine target killing, kidnapping for ransom, extortion (locally called bhatta or monthly) and gang wars between many groups having been reduced at a remarkable level. Specifically this operation also hit the Lyari gang war. Lyari is a very deprived area of Karachi where diehard Pakistan People’s Party (PPP) supporters live. Ethnically, they are indigenous Baloch and Sindhi who were fighting against the hegemony of the MQM since it was created by General Zia as a force against PPP supporters and loyalists in Karachi and Hyderabad in particular. Thus in Lyari, after the assassination of Benazir Bhutto and especially after a gang leader and diehard PPP supporter Abdul Rahman – a local Robin Hood, popularly known as “Rehman Dakait/Dacoit’’ was killed in a police encounter in August 2009, the fighting force of the PPP against the MQM was divided into two groups, but the most powerful group of the Lyari remained under the influence of a group which was headed by Uzair Baloch, that in fact was the successor of Abdul Rahman or ‘Rehman Dakait’ for Lyari and ‘Khan Bhai’ for the PPP. Despite Rehman Dakait being a criminal however, he was at the same time a mythical character to the Lyari like his father- Babu Dakait, who was also the gang leader in the same Lyari area and arrested by the General Zia regime in 1979 and tortured to death in jail for forcedly trying to accept that he had been involved in the killing of Ahmed Raza Kasuri in Lahore, on the instruction of Zulfiqar Ali Bhutto (ZAB) – the most charismatic leader ever born in Pakistan. Thus Babu Dakait refused to accept a counterfeit allegation against ZAB that he had ever received any instruction from his leader ZAB to kill anyone. However, Babu Dakait was one day found dead in his jail room, the authorities declaring that he had committed suicide. Such claims of the jail authorizes were never accepted by the Lyari people. In much the same way the people of Lyari were not ready to believe that his son Rehman Dakait was killed in a true encounter. But people openly started to blame the PPP leadership, saying that high ranking PPP leaders fulfilled MQM’s desire to gain their support in the provincial assembly and had killed him in a fake encounter. It was however an open fact for Karachi people that the MQM was feeling threatened by him. They also tried on numerous occasions to kill him, but failed. The rival group leader Arshad Pappu was, with the help of a few police officers, killed in Karachi, Uzair Baloch almost single handedly ruling Lyari. However when the Karachi Operation started Uzair Baloch somehow managed to flee the country and again appeared on the scene when he was arrested on 29th December 2013 by Abu Dhabi Police as he was entering the UAE from Oman on a fake Iranian passport. Following a detailed enquiry by the UAE police, they found that he was on the ‘most wanted’ list and informed Pakistan. In return an official team tried to bring him to Pakistan as he was needed on 57 criminal charges of extortion, kidnapping for ransom, drug business and a number of murders. Transferring Uzair Baloch to Pakistan from Dubai with the necessary documentation was in process and was agreed at the final stage, but unexpectedly Baloch once again disappeared, both countries not being ready to say anything about him. Amazingly Uzair Baloch has now once again appeared on the scene when a paramilitary force declared his arrest in Karachi in the early hours of Saturday 30th January 2016. In spite of their silence declaring his arrest, there were strong rumors that Uzair Baloch had been in the custody of law enforcement agencies in the Khyber Pakhtunkhwa (KPK) for the last two years and that he agreed with the government to be an official witness against those in his criminal activities in Karachi. In particular, he will talk about Shahanshah Khalid and Bilal Sheikh – both chief bodyguards of martyred ex-Prime Minster of Pakistan Benazir Bhutto. Both were very important witnesses and were killed one by one in Karachi. Now it’s being claimed that Uzair Baloch was behind their murder. Besides this there is further shocking news related to the first attack on Benazir Bhutto when she returned to Pakistan after seven long years of self exile on 18th October and was leading a history breaking procession in Karachi when said attack occurred killing more than 170 PPP workers. Now, it is being maintained that it was Uzair Baloch’s gang who attacked Benazir Bhutto’s processions. 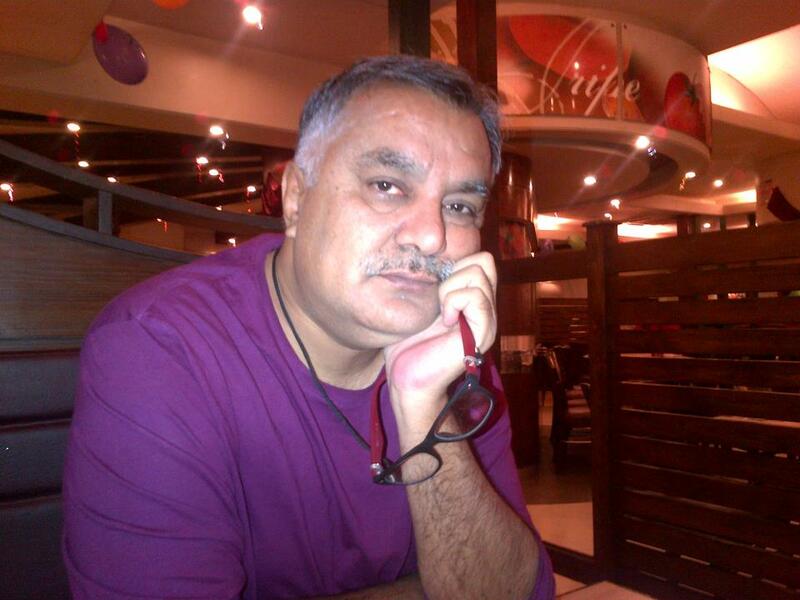 Conversely at this time Rehman Dakait was alive and got Benazir Bhutto out in a vehicle from the scene, as reported. Then there is the question of how it becomes possible for Rehman Dakait not to know that the attacker was his most loyal Uzair Baloch. Yet this has to come out in the coming days if it is true what is being claimed. How Uzair Baloch got out from the UAE, God only knows. Where was he in the last two years or to whom did the UAE authorities hand him? What procedures were adopted legally when he was handed over to anyone or was he freed willingly? No one knows up to now. But it seems very sure that many had heard such rumors that he was already in custody over the last two years in Pakistan. Again fascinating things appearing on the scene for the Lyari gang war leaders, as a few days ago many leaders of the PPP started denying that they even knew him. This was categorically denied by the Chief Minister and senior minister of Sindh along with many leaders of the PPP. On the other hand, before the announcement of his arrest surfaced, many TV channels started to repeatedly show his picture with top leaders of the PPP including PPP Co-Chairman and ex president of Pakistan Asif Ali Zardari’s sister, Faryal Talpur. In this connection it also seems an important development that the Chief of Army Staff (COAS) General Raheel Sharif vowed that he will not leave the Karachi Operation uncompleted. A special meeting was ‘accurately’ arranged in Karachi two days before the declaration of Uzair Baloch’s arrest. In this meeting, the COAS appreciated the efforts of the paramilitary Rangers and other law-enforcement agencies in improving the security environment of Karachi. Besides all of this, there is another rumor in political circles that the powerful Finance Minister Ishaq Dar is going to be investigated for mismanaging government money. Ishaq Dar is the father-in-law of Pakistan’s Prime Minister Nawaz Sharif’s daughter, Asma Nawaz. These rumors are either true or false but politicians fear something unusual. However it is very obvious that the people of Pakistan seem very happy. Nevertheless he was for the first time under huge criticism, especially on social media, for not insuring security by the military. 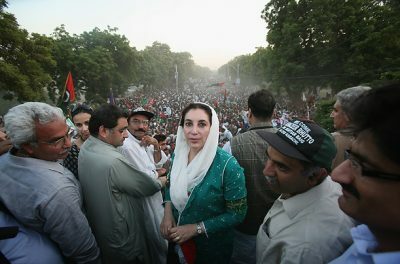 Coming back to the gang leaders, Uzair Baloch’s people in Pakistan are anxious that the murder of Benazir Bhutto not be true and that somehow high level PPP leaders not be involved in her murder of their great leader as it would be heartbreaking news and would leave an enormously negative impact on society. Previous post Notes from America: The Condom Uprising in Egypt!